What is unexpected, though, is the relatively low level of public awareness about the differences between Blu-ray and HD DVD that comes through in surveys by Japanese research firms NTT Resonant and Impress R&D. The research targeted two different groups – one consisting of tech-savvy readers of the Impress Watch websites and the other a more general group of non-nerds. Among the gadget fans, it’s no shock that more than half (57.8 per cent) of respondents knew how Blu-ray and HD DVD differ, but the story in the other group was very different. Of the more ‘general’ public, only 16.6 per cent grasped the differences. As for hardware ownership, 72.5 percent of those respondents across both groups who own next-generation machines do so through the PS3, with standalone Blu-ray recorders accounting for a further 22 per cent of next-gen ownership. Even the still-rare Blu-ray PC burners outranked the most popular HD DVD options – HD DVD players, recorders and the external HD DVD box available for Microsoft’s Xbox 360, all of which came in at around 5 per cent. 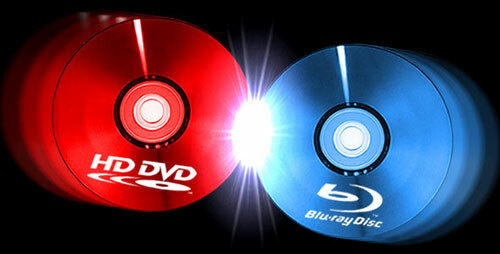 Although it’s difficult to draw conclusions at this stage regardless of the fact that Blu-ray is so far ahead of HD DVD on all fronts, companies on both sides of the divide might want to look at convincing the public why their products are worth investing in from a technical point of view. And then, of course, hell will freeze over.